Backtesting is the process of evaluating a trading method using historical data. By looking for statistical significance of how the method performed in the past, one can make an attempt to predict how a trading method might perform in the future. Some popular trading platforms that include the ability to backtest trading methods include: NinjaTrader, TradeStation, and MultiCharts. While backtesting can reveal a strength or weakness in a method, the results are not always correlated to future outcomes. You can use a large sample size such as 5 years of market data, or more, and still fall victim to over fitting or curve fitting your method to fit the historical data, instead of merely data mining to a positive outcome. 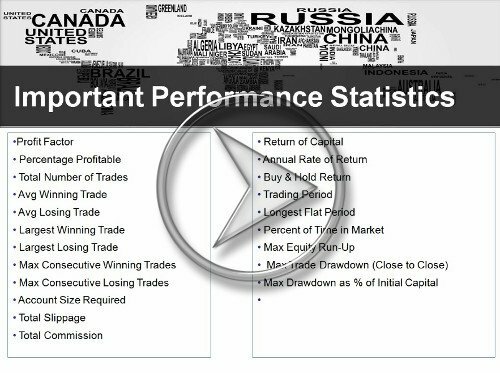 Big Mike and Manesh Patel discuss Automated Trading and Backtesting in-depth in a 2-hour webinar dated Thursday, May 10th 2012. Topics included: Human vs Automation, Data for Backtesting, Data Mining, Curve Fitting, In-sample vs Out-of-sample, Process Diagram, Discussion of prerequisites and common pitfalls, discussion of important performance metrics to consider during a backtesting, and much more. This article is a stub. Please edit the article to improve it and add additional details.